At Sunset, we regularly share edible treats from our home gardens—and ovens; we argue heatedly about where to buy the best fish taco; and we relish showing visitors our beloved Test Kitchen, where our food editors and recipe testers create and polish every recipe that we publish. Every now and then we have full-blown potlucks, too. We also love cookbooks, and we often share recipes. So it seemed only natural to take it online. 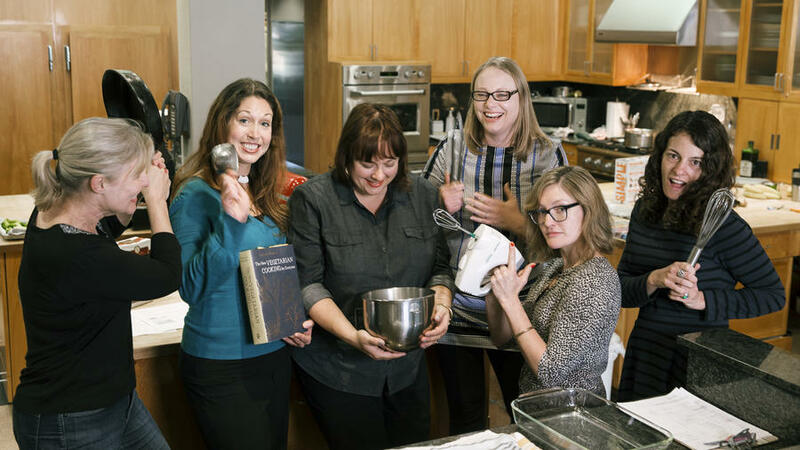 With that idea, the Sunset Cookbook Club was born. Since November is Thanksgiving season, we chose Deborah Madison’s freshly revised New Vegetarian Cooking For Everyone. This gorgeous tome expanded the horizons of all cooks when it was published in 1997; not even carnivores could resist Madison’s simple, brilliant flavor combinations and intriguing yet sensible techniques. Our zeal for vegetables has only grown over the ensuing years, making this book—with hundreds of new recipes—more relevant than ever. And it is a fabulous source of Thanksgiving sides. To see our picks and get a taste of Madison’s book, read on. Want more ideas for wonderful Thanksgiving sides? Check out these salads and vegetable dishes.